What is Rings of Power Mod? 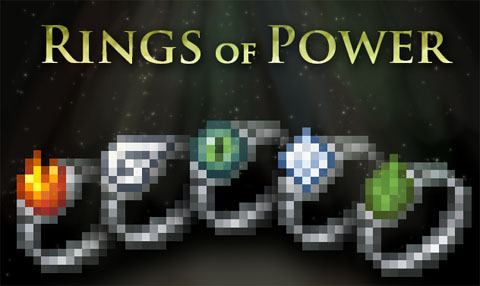 Rings of Power Mod adds Teleport Ring, Flying Ring, Harvest Ring, Ice Ring and Fire Rind. The rings are powered by fuel: coal, charcoal, glowstone, redstone and corresponding blocks. Blocks provide 9 times as much fuel. Teleport Ring: Right-click to teleport in the given direction. 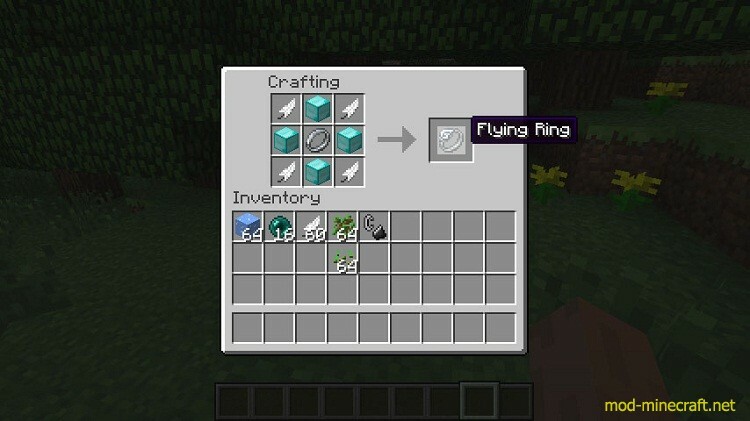 Flying Ring: Enables flying as long as you have fuel. A unit of fuel is consumed every 5 seconds. Harvest Ring: Works like bone meal on plants. Also right-click to harvest all crops near the player. Also increases chance of apples dropping if leaves are broken with this ring. 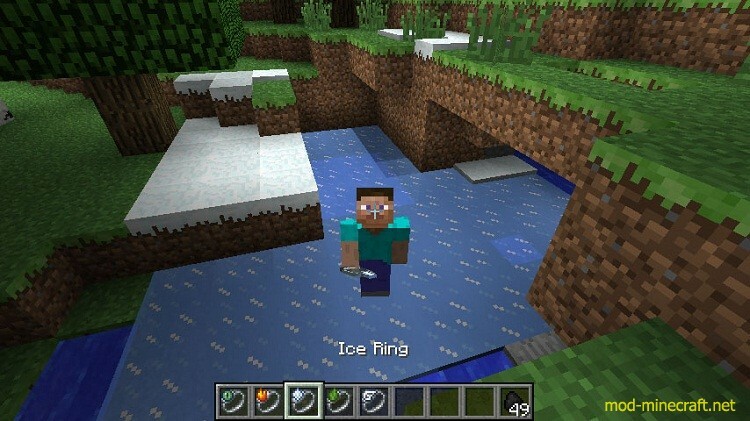 Ice Ring: Right-click to cover the ground with snow and water with ice around the player. 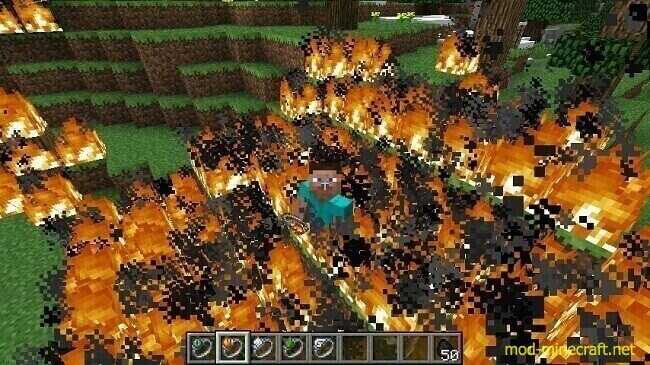 Fire Ring: Right-click to set everything around on fire and turn obsidian into lava. Makes the player immune to fire. 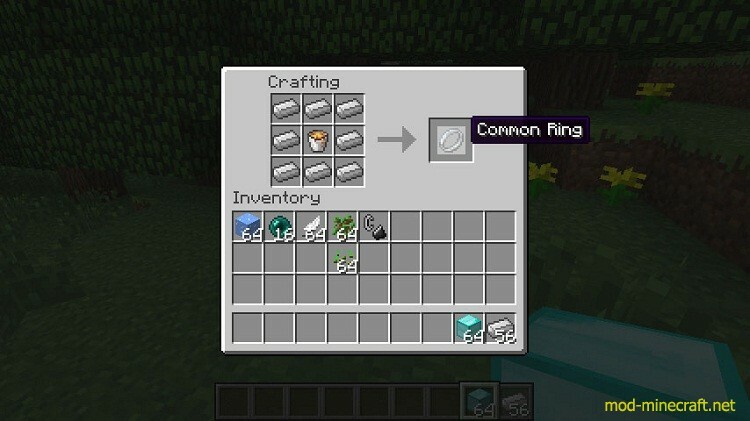 Crafting recipe for the Common Ring, which is needed to craft the Rings of power. Recipe for a Ring of power. Replace items in corners with those shown in inventory.